Pet adoption is amongst the noblest things you can do. It helps not only the animal in finding a home but also gives you a loyal companion to spend your life with. However, pet adoption is not as easy done as it seems because there are a number of considerations to keep in mind. We like the idea of showing compassion to the needy animals, but in the course, we forget that there are certain facts to be known and commitments to be made which may make the whole adoption process uneasy. 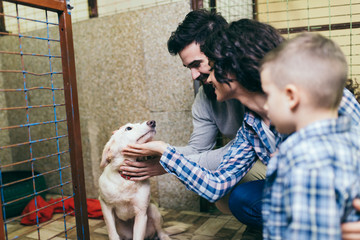 So, in this article, we will guide you through 5 things you might not know about pet adoption. There are a lot of misconceptions about pet adoption, particularly regarding the behaviour of animals in shelter homes. 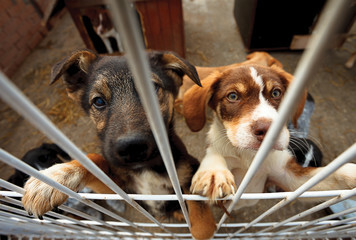 Many people think that shelter animals do not behave well, but that is not the case at all. Every animal comes with varying personalities, so you need to have an open mind before adopting one. Yes, it is very important you take your time before going forward with pet adoption. You should consider involving all the people who are going to live with the pet and taking a collective decision. If you make a hasty judgment, you might end up upsetting a lot of people. Animal shelters are usually rescued animals, and disunity and disaffection will not really help them. You are going to bring a new member in your family, and therefore, you should make all necessary arrangements in advance. For starters, you can designate an area as the resting place of the pet such as a dog house. Get food and other pet related supplies beforehand to better handle the pet. In case your family has children, you should avoid getting baby animals to home. Baby animals are weak and they might get into accidents due to the shenanigans of the children. Instead, go for adult animals or bigger animals in such cases. Adopting and raising a pet is a herculean task requiring a lot of involvement from your side. You have to be there around the pet for a considerable amount of time to help it adjust to the alien surroundings—this is especially the case when you are adopting a baby animal. If you cannot afford to give enough time and care to your pet, it is better to not adopt one at all because you will do no good. 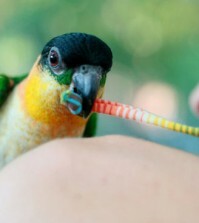 What are the Questions to Ask While Adopting a Pet Bird?